Submitted by a_warming_trend on February 27, 2015 – 11:58am. It’s been a weird few weeks in central North Carolina. We’re not used to seeing this much snow here — especially not this close to March! This week in particular has been particularly rough. Long story short, I had planned a few different bakes for mid-week, only to be hit with two consecutive snow storms, the second of which led to an extended power outage. Now, I’m pretty tough. Normally losing my refrigerator for a few days wouldn’t bother me that much. 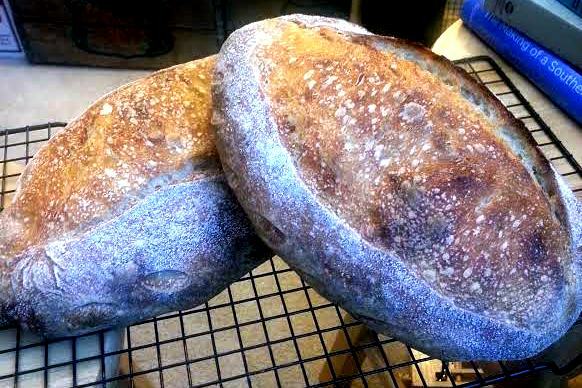 Problem is…this time I had two massive tubs of dough going, both of them experiments with 80% hydration, 20% whole wheat loaves leavened purely with pate fermentee equal to 30% of the total weight of the loaves. To his credit, my husband only teased me twice as I insisted on carrying the two large dough tubs to place in the car for the duration of the outage. They were both already slightly over-fermented, but I am a firm believer in dough-adaptability, so I was determined to salvage them! 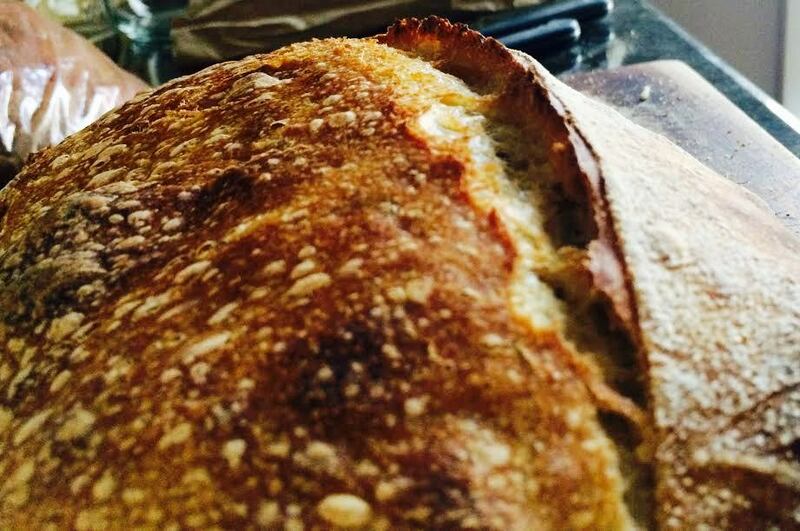 We finally gained power this morning, and I baked off one batch of pate fermentee batards. 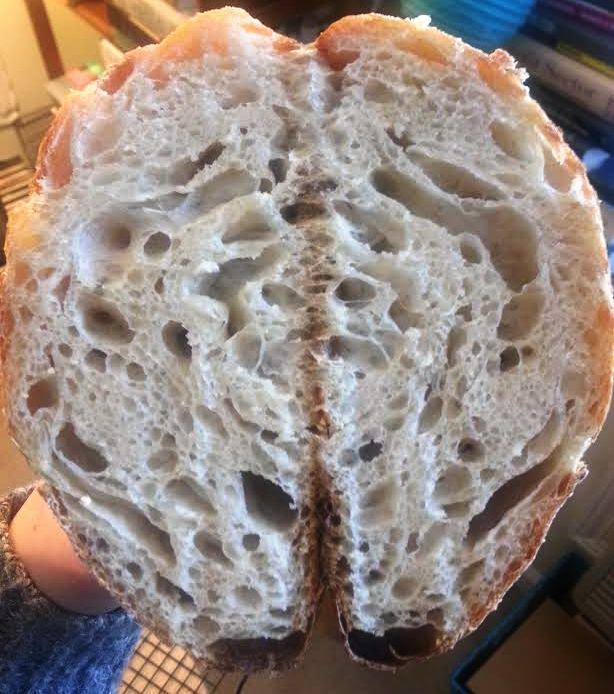 The crumb was not quite as custardy and open as that which I’m used to at 80% hydration, but I’m pretty sure it’s mostly because of that over-long cold bulk in the back of my Ford Fiesta. The taste was still really excellent — simultaneously malty and tangy. It’s always good to remember that with the possibilities presented by long-retarding (even in the back seat of a car), flatbreads, pizza, and pate fermentee…we really almost never need to waste a dough!